Satoshi is a Partner of Arthur D. Little and a core member of the Tokyo office and Global Healthcare & Life Science Practice. 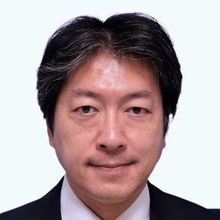 Satoshi has over 20 years of strategy consulting experience and worked for clients in wide range of industries, including healthcare, consumer & retail, chemical, metal, auto, machineries, ICT and financial service. He has conducted many transformational projects related to corporate strategy, new-business development, M&A/PMI, portfolio restructuring and R&D/marketing management, and implemented reform of organizations, operations and systems. Satoshi earned a BA in political science and economics from Waseda University in Japan, and an MBA from the University of Chicago Booth School of Business.